Earlier this week, AMC Theaters president Adam Aron said his company was considering allowing moviegoers to use their smartphones in its theaters… while the movie plays. Seriously, what kind of lamebrain idea is that? In a statement published Friday on Twitter, Aron said they heard loud and clear that the concept of texting in its theaters is something moviegoers do not want. As such, there will be no texting allowed in any of the auditoriums at AMC Theaters. Not today, not tomorrow and not in the foreseeable future, he added. The executive said AMC will instead focus on other ideas to delight and entertain guests. Over the next few years, the theater chain plans to invest more than $1 billion to enhance its offerings – money that’ll be used to add additional large screens and more comfortable seating (think recliners) as well as new food and beverage offerings. In fairness, AMC should perhaps be commended for trying to think outside the box. 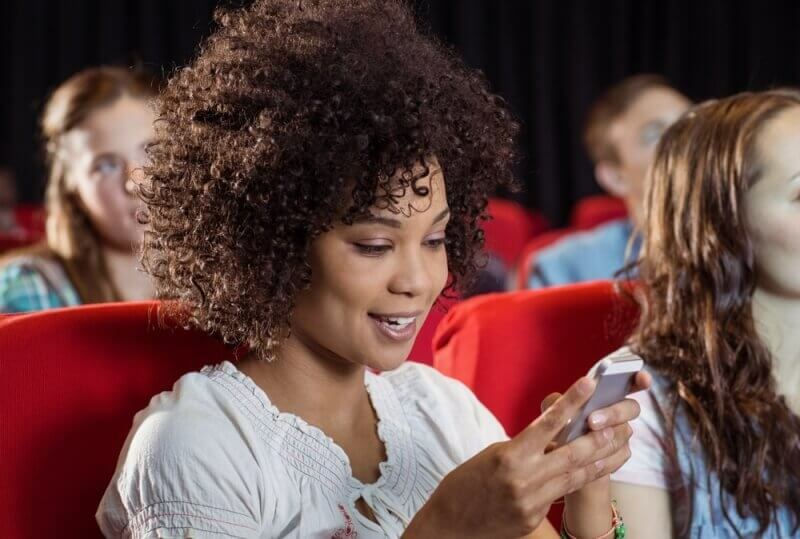 The idea behind allowing texting was to try and get more millennials into its theaters although personally, I believe the issue of declining movie attendance isn’t directly related to smartphone bans but rather, overall cultural changes.